Product categories of Insulated Cable Terminal, we are specialized manufacturers from China, Insulated Cable Terminal, Insulated Cable Lug suppliers/factory, wholesale high-quality products of Insulated Screw Terminal R & D and manufacturing, we have the perfect after-sales service and technical support. Look forward to your cooperation! 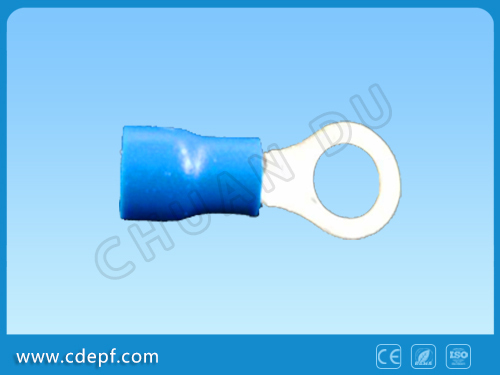 Insulated Cable Terminals of compression,which are produced according to the standard of America, Japan and Germany. They are widely used in many industries, such as machinery, spinning, electric power, railway, shipbuilding, spaceflight and aviation, light industry, household electrical aaliances, computer and complete equipment of automated assmbly, etc. The surface of Insulated Compression Cooper Cable Terminals are tinned T2 copper, which assure the credible conductivity. There is thread in the inner hole of the afterbldy of terminals, the insulation covering is hard and there is no break and no rebound.